Critical Care Nursing Courses in Punjab – Planning to join the best critical care nursing course college in Punjab? Chances are more to get a long list of alternative colleges name for the concern. But if you are having quality and high preferences, Mata Sahib Kaur College of Nursing can prove itself the most optimum solution for you. By high preferences, we mean to aspire for a quality and valuable critical/intensive care nursing course in Punjab. Developing your nursing skills in the intensive care unit will ask for much efforts and higher keenness towards learning on your part. Critical care nursing deals within the major health problems. These serious health problems include serious injuries, life-threatening situations, and major surgeries. Therefore this field will demand greater dedication and seriousness from you. You can perform all the task and responsibilities well with a proper knowledge and critical care nursing training. Mata Sahib Kaur College of Nursing is preparing the future critical care nurses to improve the health statistics in the country. We are proffering valuable and knowledgeable nursing courses. And for the information seekers out here, we are ranking as the top nursing college for critical care nursing courses in Punjab. This is the most obvious question which revolves around in the mind of every student. Because the major reason behind joining a vocational course is always the aim to achieve success and growth in the long run. Choosing a right vocational course keeps the foundation for your future career. The scope of nursing is much wider and if you are thinking to become a critical/intensive care nurse, this decision of yours will prove itself as the wisest one. The critical care nurse salary is quite attractive and it will motivate you to strive for more learning and growth. In addition to the higher salary package benefit, you will be able to contribute to the betterment of the health of the society and for humanity causes too. The scope of intensive care nursing assists you with many work opportunities and growth platforms too. 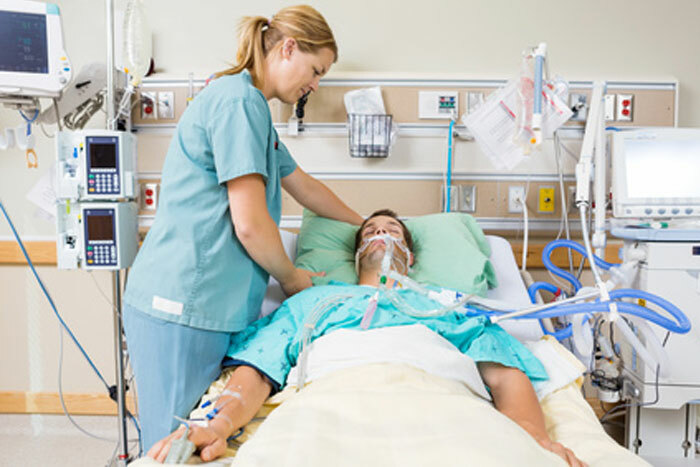 Below given are some of the major areas which you can prefer to choose for your critical care nursing career, scroll down to know. ICU department for emergency cases. So these all are the work areas and there are many more in the field. But this can be possible with the best critical care training course in Punjab. As you are looking for the best college in Punjab region to make a successful nursing career. Becoming a critical or intensive care nurse is not everyone’s cup of tea. If you are serious about your career and want to be at the top in upcoming years, start preparing yourself for it. Nursing profession comes with a range of job opportunities which you can explore efficiently with through knowledge and nursing skills. Following are the requirements to become a successful critical care nurse. A critical care nurse needs to be average on emotional levels i.e., neither too emotional nor too rough. As they require to communicate with the patients and also perform critical care tasks at the same time. Dedication, passion, and interest towards the profession. Intensive knowledge in the specific professional field. Mentally stable, analytical thinking with excellent decision-making skills. Nursing bachelor’s degree or diploma. Certification regarding RN (registered nurse). Experience of about a year or two years. Because this acute nursing care will need more skilled nurses. Tremendous interpersonal and patient handling skills. Equipment and critical situation maintaining skills. So these are some major considerations to become an intensive care nurse. In addition, you will need to excel at the observation and patient condition monitoring too. Rest you can get to know more by going through the critical care nursing principles. Therefore a critical care nurse needs to be more responsible and serious for their work. Want a successful nursing career then Mata Sahib Kaur College of Nursing is the best option to put a foundation for. Because this foundation will let you help stand strong in the future work challenges. The qualities of us are making us maintain the position of a top nursing institute in Punjab. We are offering the best critical care nursing education to ameliorate the health aspects in the country. If you are pursuing your critical/intensive care nursing course in Punjab from MSKCN, it will give weightage to your resume and to the career too. The critical care nursing jobs in India and abroad will please you with the critical/intensive care nurse salary packages and growth platforms too. Below mentioned are some of our quality features, have a look at them. Best critical care nursing training in Punjab. Renowned nursing college in India. Student and learning friendly critical care nursing books. Internship and job offer with top hospitals. Optimum intensive care nursing fee structure in Punjab. Aforementioned properties are making us the #1 nursing college in Punjab, India. After taking admission in Mata Sahib Kaur College of Nursing, you will enjoy some other delights too. This best knowledgeable critical care nursing certification in Punjab from our college can give a successful and bright career. So what are you waiting for, grab your seats as soon as possible.